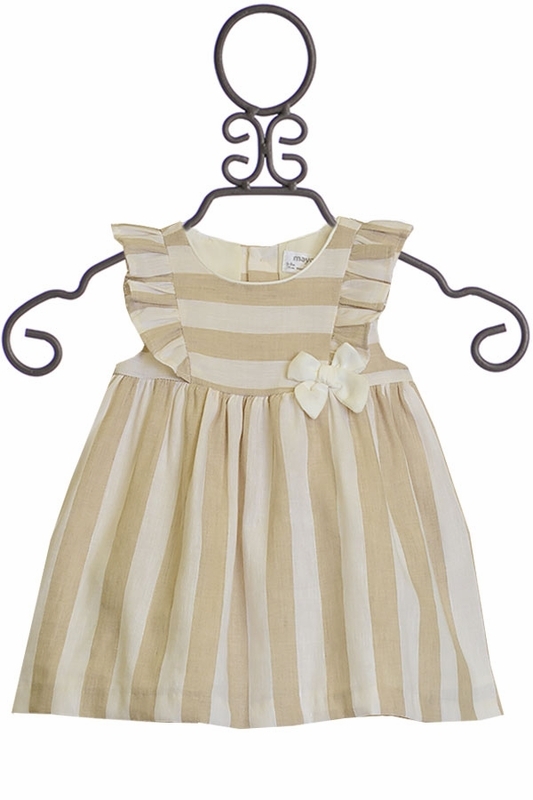 Mayoral is making dress shopping easy this spring with this adorable infant dress new to LaBella Flora. 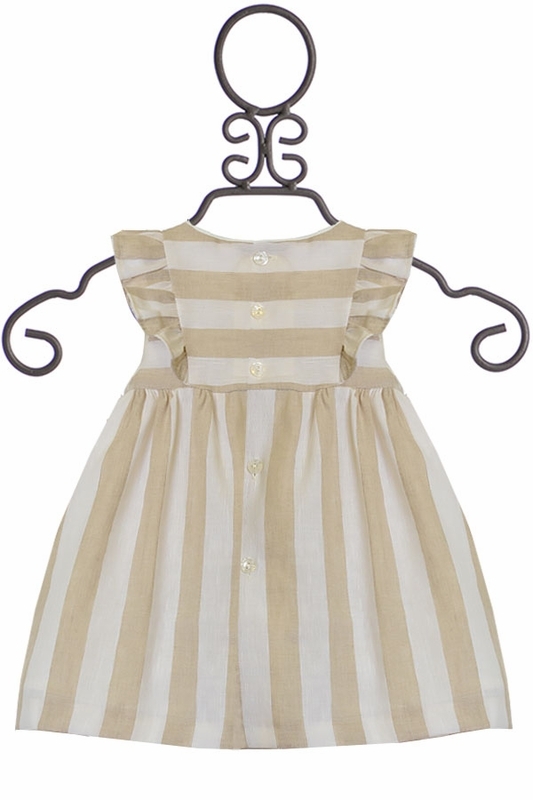 With neutral stripes covering the dress, it makes it versatile to wear for Easter, vacation, or a typical spring day! 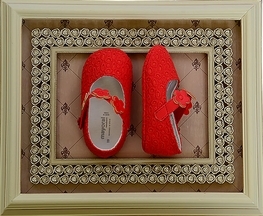 A cute bow accents the front of the dress, and is complimented with darling ruffle sleeves. 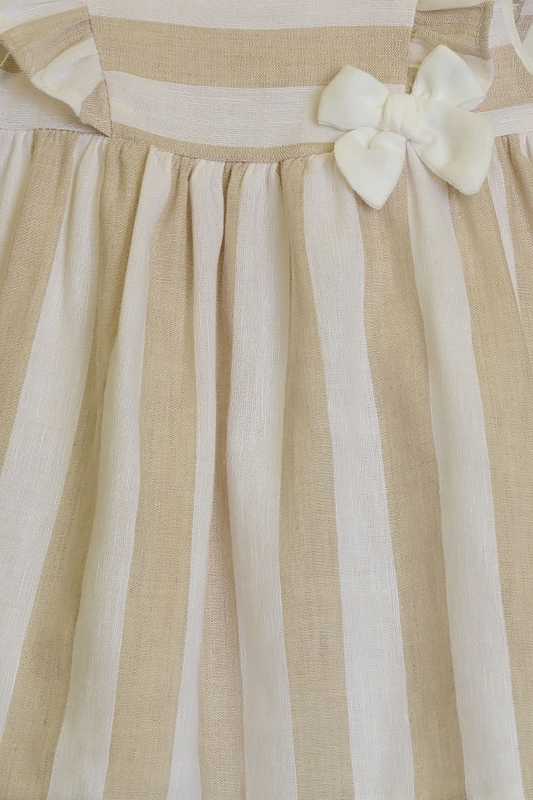 Dainty buttons fall down the back of the dress, and little matching bloomers come with the dress for her to wear underneath. 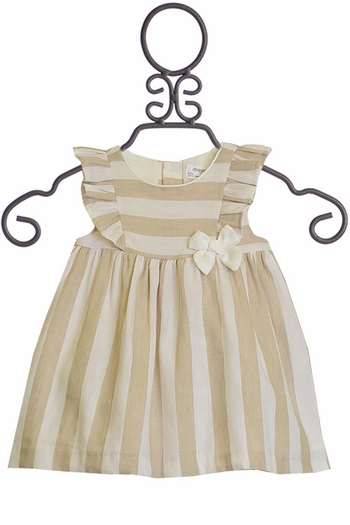 Your little one will smile ear to ear in her new favorite dress!